“As far as we are aware, we are writing the first report of Plasmodium spp. and Borrelia burgdorferi co‐infection (a co‐infection of a tropical parasite and a non-tropical bacterium),” explains Neves from the Infectious Diseases Department, Centro Hospitalar São João, Portugal. The man had returned to Portugal from Angola, where he worked as a welder. Four months earlier while living in Angola, he was diagnosed with malaria and treated with an outpatient regime. But upon his return to Portugal, the man complained of fever, constitutional symptoms, headaches and blurred vision. Malaria was suspected based on examination of thin blood smears and rapid diagnostic testing. Anti-malarial treatment was initiated and consisted of intravenous quinine (600 mg q8 h) and IV doxycycline (100 mg q12 h). But on the second day of admission to the hospital, the man developed an altered mental status with increased lethargy. Doctors suspected Lyme disease during a neurological evaluation, where he showed signs of confusion, disorientation and marked cognitive slowing. “A slight left central facial palsy was described, with no other cranial neuropathies,” states Neves. The patient tested positive for Bb on the Western blot and treatment was altered to include intravenous ceftriaxone (2 g q12 h) for 14 days. The patient also required treatment for an autolimited antiphospholipid syndrome. Neves N, Silva-Pinto A, Rocha H, et al. Plasmodium spp. and Borrelia burgdorferi co-infection associated with antiphospholipid syndrome in a returned traveler: a case report. Clin Case Rep. 2017;5(4):471-476. 6 Replies to "First report of Malaria with Lyme disease as a co-infection"
Why is it not that Malaria is a Co-infection to Chronic Lyme as Babesia (Cousin to Malaria) and Bartonella are co-infections to Lyme (Borrelia Burgdorferi)? When will they finally admit that B. Burgdorferi is the root to so many debilitating disorders? They are all symptoms of Chronic Lyme. Its a terrible disgrace how we are being lied to and denied appropriate health care. Thanks for your comments. The co-infection term has been used for more than one infection from a tick. The authors are using the term as two infections. In the author’s case, it would appear to be two infections from two vectors. Do you have a better term when there are two vectors? Thanks for your question. Many us us use the term co-infection when we are referring more than one infection from a tick. The authors are using the co-infection term to refer to an infection from a tick and from a mosquito. Do you have a better term? Someone I know was diagnosed with Lyme disease approximately 2 years ago (Ottawa area) and now says he has Lyme related Malaria. He has not traveled outside Canada. Is this possible? They are likely referring to Babesia, a blood borne parasite in the same tick that carries Lyme disease. 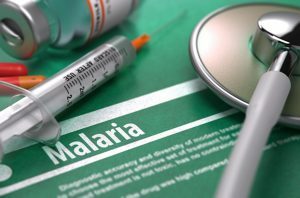 The treatment for Malaria and Babesia use some of the same medications. Babesia has been reported in Canada.